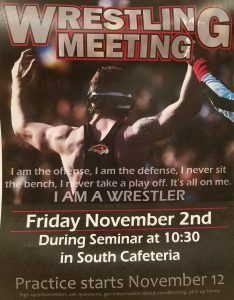 Wrestling Meeting tomorrow…sign-up in the office today to attend! Practice starts on the 12th of November. Make sure you have a physical on file in the office dated after 4/15/18.